Community involvement is a central focus and a priority in our schools. It is a different way of teaching and enriching the qualities of our students, transforming them into citizens. The involvement of young people in causes and passions is a tremendous life lesson: creating and constructing together, being faced with difficulties, finding the right balance between ambitions and constraints, motivating teams, making a commitment and taking responsibility for your decisions, being persuasive, learning to listen, setting up a project, funding it, taking an active part... whatever the cause defended, community involvement is central activity in the schools. Often seen as the poor relation or considered as incidental in higher education, we have chosen to place it at the heart of life in our establishments and in our teaching. Civic life is renewed and reinvented every year, enabling new generations of students to contribute to these ambitions in their own way. Junior Sudria gives you the opportunity to attend training courses to become a true entrepreneur, thus allowing you to enrich your engineering training in a friendly environment. You will be trained by professionals, partners of the National Confederation for Young Enterprises (CNJE). Epitanime is one of the longest-standing and largest associations in the IONIS Group. Open to all, it brings together students from EPITA, Epitech, e-artsup and the IONIS School of Technology & Management. Every year it organises one of the largest amateur “japanimation” conventions in France. This event, the 20th edition of which was held in 2012, takes place on the IONIS Education Group Technological Campus in Le Kremlin-Bicêtre. It brings together between 6,500 and 7,000 visitors who come to attend screenings and discover video games or stands dedicated to Japanese culture. Ingénieurs pour le Développement et les EchangES (IDEES) is an association created in1994 within ESME Sudria. Recognised as being of public interest by the State, IDEES is composed of students from the school and seeks to improve the quality of life of the Malagasy population, and more specifically the Alakamisy-Ambohimaha commune. The association’s sponsors include the Sœurs du Christ congregation, L’Oréal and Veolia Environnement. IDEES received a special mention from the jury of the Prix de la Solidarité Etudiante 2010 prize and the EDF 2011 des Associations Grandes écoles - La Tribune trophy. The association was created in 1991 by students at the École Polytechnique and EPITA, based on the observation that there was no computing contest in place for young people. It thus runs the Concours national d’informatique français contest every year, open to Europeans aged under 20. The final is held at EPITA, where the association is based. Prologin is run by students and young professionals and brings together members of several higher education establishments. It has been sponsored on several occasions by the Delegation on Internet Usage of the Ministries of National Education, Higher Education and Research. The IONIS Group's Robotics Association, Evolutek brings together students from EPITA, IPSA and Epitech to prepare for the Coupe de France de robotique robotics competition. Since it was founded in 1997, the structure has allowed students to apply their knowledge and expand their skills base. Certain members of Evolutek continue on to a career in robotics. For the last two years, the association has sent its members to IDC Robocon, an international competition initiated by Tokyo Tech and MIT, among the world's most prestigious universities and schools. The ISEG en scène in Lyon, Paris and Toulouse brings together theatre lovers by way of classes and performances. The structure in Lyon was singled out at the OPEN ISEG contest which rewards the top 20 student projects that best demonstrate a passion for entrepreneurship. 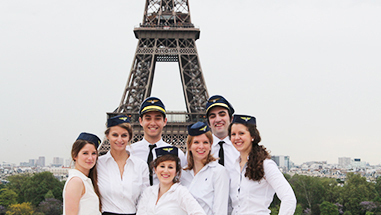 For twenty years now, this ISG association has hosted the Prix des Créateurs de Demain awards, which reward talented young French and foreign students. Moda Domani is a pioneer in that it was the first fashion association created within a business school. The competition has already rewarded stylists who have gone on to prove their talent. Beyond this event, Moda Domani offers its members a true pass into the world of luxury, haute couture and ready-to-wear fashion. IPSA Flight is an association that aims to design a Boeing 777 simulator on a 1:1 scale ratio. Since its launch, the project has developed considerably: installation of joysticks, repair of the throttle as well as the flaps, control panel, programming of the autopilot mode, FMS, over head panel, rudder pedals, etc. The ultimate aim is to be able to use this simulator for teaching purposes. This association aims to introduce Sup’Biotech students to molecular gastronomy through direct application of biotechnology knowledge. Cook&Lab organises workshops and cooking classes as well as participating in various competitions. Each of the seven campuses in the ISEG Group has a humanitarian association which allows students to get involved in solidarity actions. 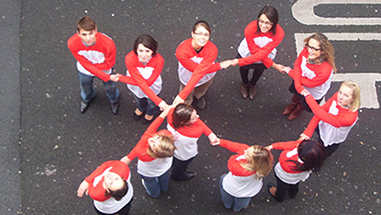 Each association develops local actions and projects, such as participating in the Téléthon fundraiser or the 4L Trophy (see opposite). Some, like in Toulouse, are partners of Unicef or the Red Cross. Community involvement is enriching as it provides an opportunity to tackle conditions similar to those in the professional sphere. Students discover the full-scale management of a project in all of its dimensions. They learn to manage a budget, plan their work load, organise themselves, and make trade-offs between what they want and the financial constraints. Community involvement means facing up to reality and developing a true entrepreneurial spirit. 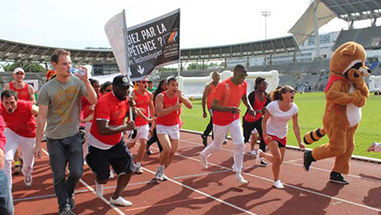 Each school has a Student Office (Bureau des étudiants - BDE), a focal point for student life, and a Sports Office (Bureau des Sports - BDS), which offer a range of collective and individual sports activities. Every year, this humanitarian race brings together more than 2,700 participants from over 1,450 schools and higher education establishments. 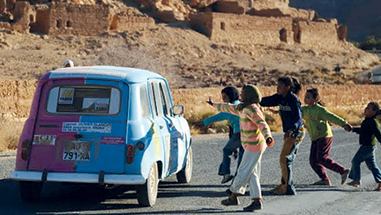 It consists of a ten-day journey in a Renault 4 car, aka 4L, covering over 60,000km from Poitiers to Marrakesh, to deliver aid to local populations. 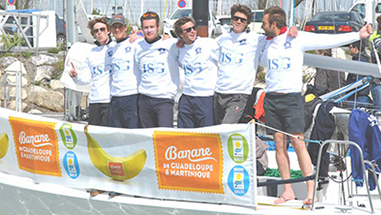 Several teams take part in each edition from different schools in the IONIS Group, which regularly participate in this challenge on board this legendary vehicle. Le combat de Cheyenne. In November 2011, Isefac Bachelor invited his 450 Paris students to a preview of the documentary by Nils Tavernier 'Destin de famille', which tells the story of the lives of different families faced with a seriously ill child. Particularly touched by the story of Cheyenne, a young girl with a very rare orphan disease, the students wanted to get involved in the association created by her mother - 'Le combat de Cheyenne'. This association helps families in need of medical devices and other equipment that is often not reimbursed by the health system. The project rallied all of the different year groups who took on different tasks: redesigning the association's graphic charter and website, promoting the documentary and the association, fund-raising, etc. We Love Heroes. Following the success of the previous edition, the students at the ISEFAC Bachelor in Lille involved in the ‘We Love Heroes’ association launched a 2012 calendar featuring athletes from the region, the proceeds from which were donated to the association ‘Des étoiles dans les yeux’ which looks after children in hospital. Some of the athletes photographed took part in the 2012 London Olympics. Community involvement is considered as an essential part of students' training at ISG, which has incorporated this aspect into its courses. It is assessed on the same basis as academic knowledge: students on the Parcours Associatif course can choose to get involved in an existing organisation or create a new one, whether in the field of sports, solidarity or sustainable development. They are thus overseen by a community involvement supervisor as well as tutors, and benefit from advice at each stage of their project from experts and marketing, management or law professors. What is the connection between community involvement and teaching? It is fundamental. In an association you work in a team to achieve the objectives you set, with the tasks divided up, a budget to draw up, negotiate and stay within, deadlines to plan and comply with, constraints to take into account, communication to ensure, progress reports to make to management, and sometimes conflicts to resolve. Overall, it is very similar to the work of an engineer. 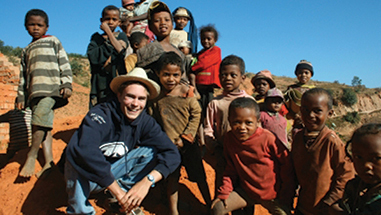 In a way, community involvement is part of an engineer's training. Beyond the teaching aspect, community involvement allows students to find a life balance that is essential to the success of their studies. It is also a good way to express the passion that each of us has for a sport, an art or a field such as aeronautics or space, computing, robotics, etc. Demonstrating responsibility within an association is a real plus on a CV: employers are keenly aware of young people's ability to commit to something other than the mandatory activities. Community involvement is a way of expressing this drive.